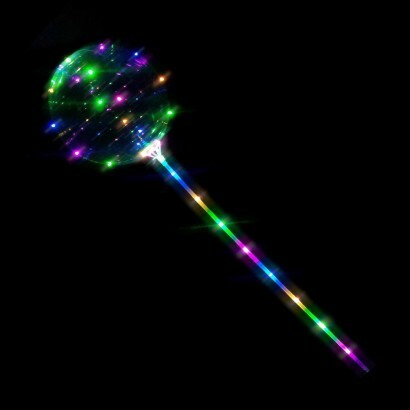 Create show stopping fairy lit displays at your parties and celebrations with magical light up balloons! This single balloon kit contains all you need to create a mesmerising party decoration with a clear latex balloon and 30 multi coloured LED fairy lights. 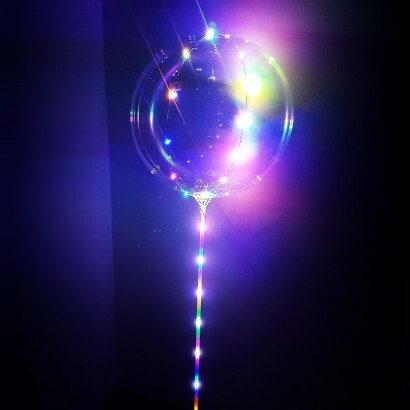 Simply feed the fairy lights from the battery pack handle through the extension sticks included and then run around the outer of the inflated balloon to create an enchanting multi coloured floating light effect that will mesmerise! 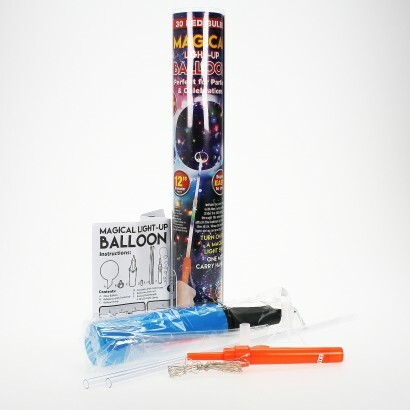 This single balloon pack includes all you need to create a single LED bubble balloon, and although a hand pump is included, the balloon is compatible with helium too.